We survived maybe a good 5-8 years of minimalism since 2010. However, slowly but surely, being loud is all the rage again. One way to be fashionably loud is to utilise the neon colour spectrum—danger zone orange, warning sign yellow and highlighter green. Look killer on the streets without being roadkill, because vehicles can spot you dashing across the zebra crossing late at night with these eye-popping looks. 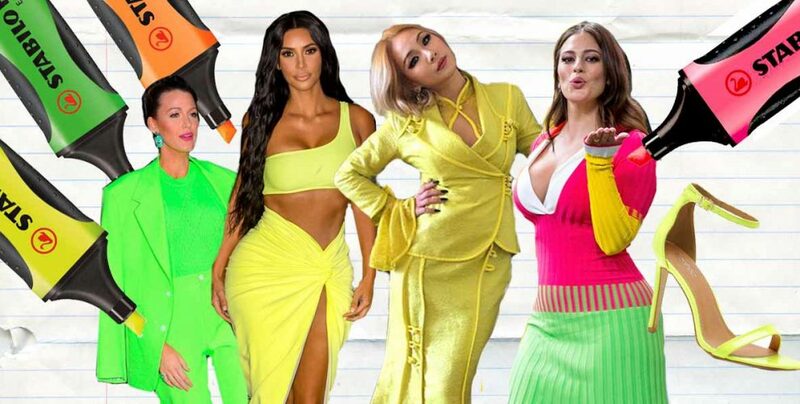 2018’s biggest champion for unapologetically neon looks is reality queen Kim Kardashian. 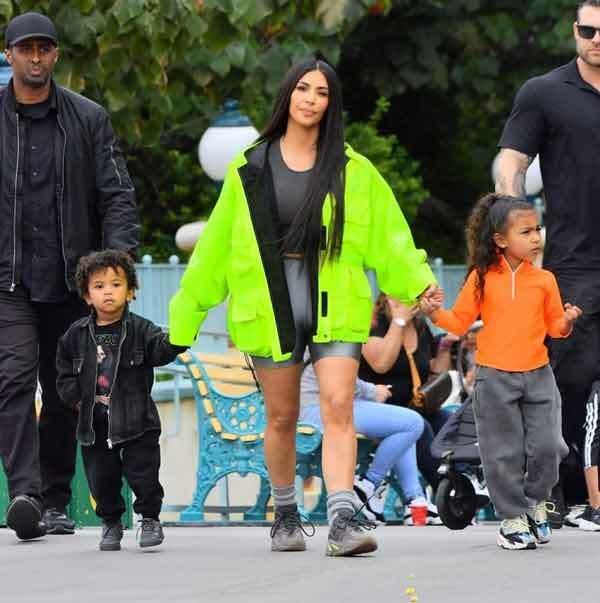 Here she was, spotted at Disneyland recently in a bright neon green utility jacket. Baby Northwest is also in a highlighter orange shirt, but of course she is unable to outshine mom; at least not yet. One simple way to work a neon look is to keep your outfit relatively simple. 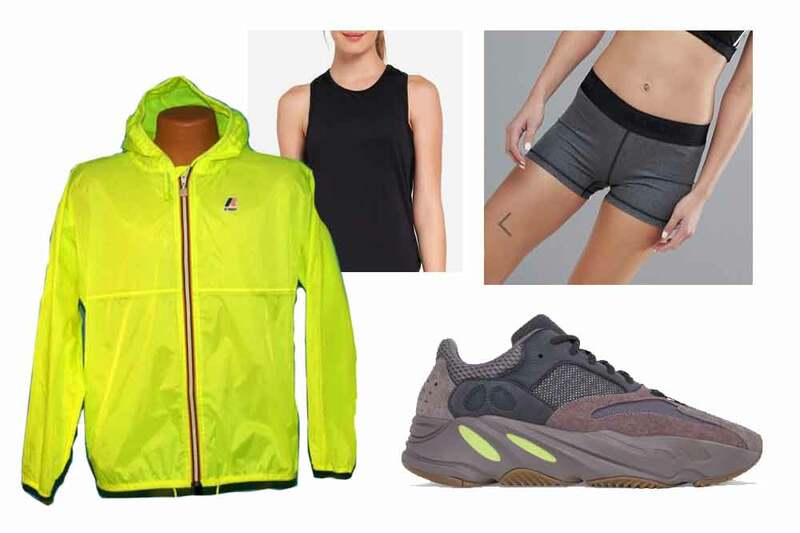 Kim pairs her jacket with grey biker shorts and the latest Yeezys which also have a hint of neon in them. Neon colours often come in glossy plastic finishes. 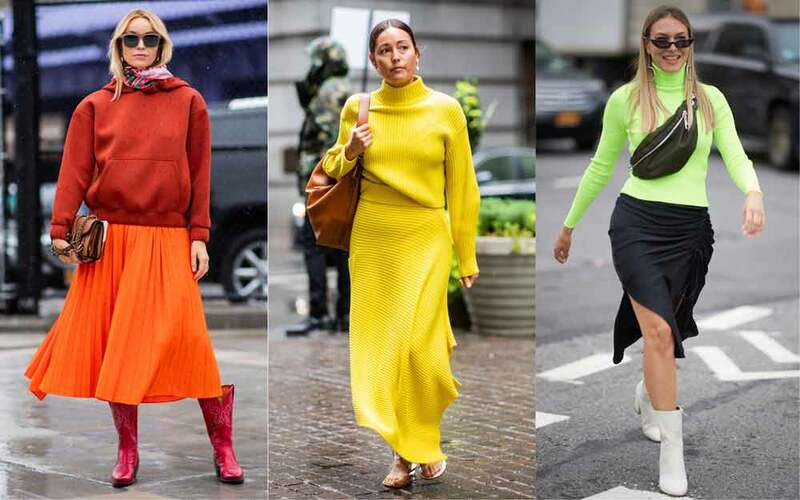 These ladies opt for neon pieces in softer fabrics which puts a fun twist in their outfits, while slaying the streets of New York during Fashion Week. As they show us, age is not a factor in owning these loud looks. Great taste transcends all generations. 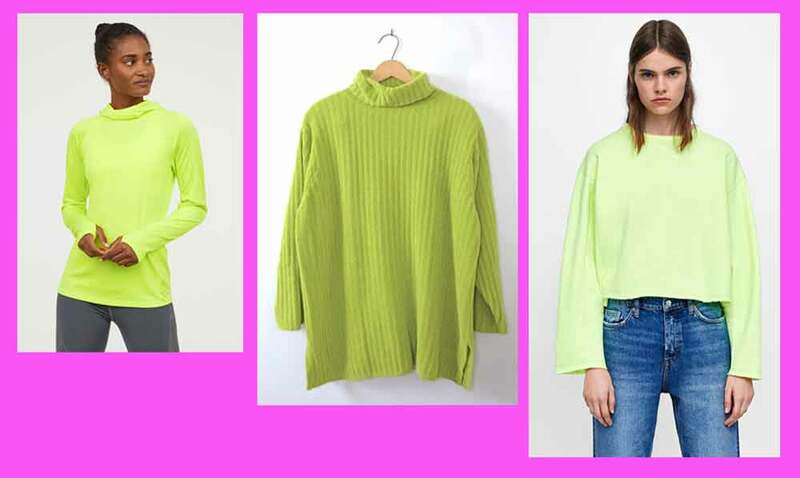 We picked out some neon tops on softer fabrics and show you how to pair them. Pair the tops with mom jeans, a matching highlighter-coloured skirt or a shiny leather skirt to create an eye-catching 90s flashback look. To further prove that neon is back with a vengeance, here are some designer labels with neon wares for you to collect. 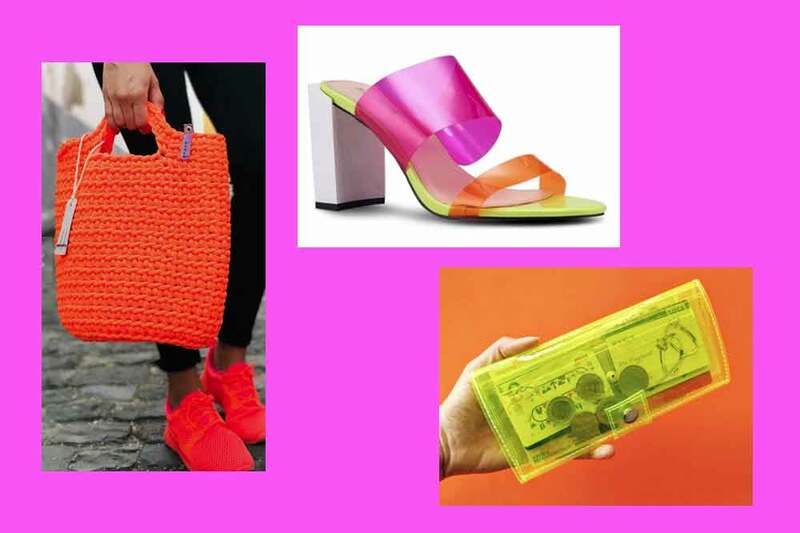 If the neon looks are way too out there for you, neon accessories are a good way to give you an instant boomz in your outfit. Re-highlight the 90s with these eye-popping neon looks as a tribute to your Stabilo highlighter set that helped you get through major examinations.